Popcorn. Fun, easy, rainy day fun! Pour oil in deep pot, then the kernels, and then1/2 teaspoon of the salt. Cover (I prefer a glass lid so I can see what is going on) and put the heat on medium. As the oil heats up, the kernels will start to pop. Shake the pot a few times. 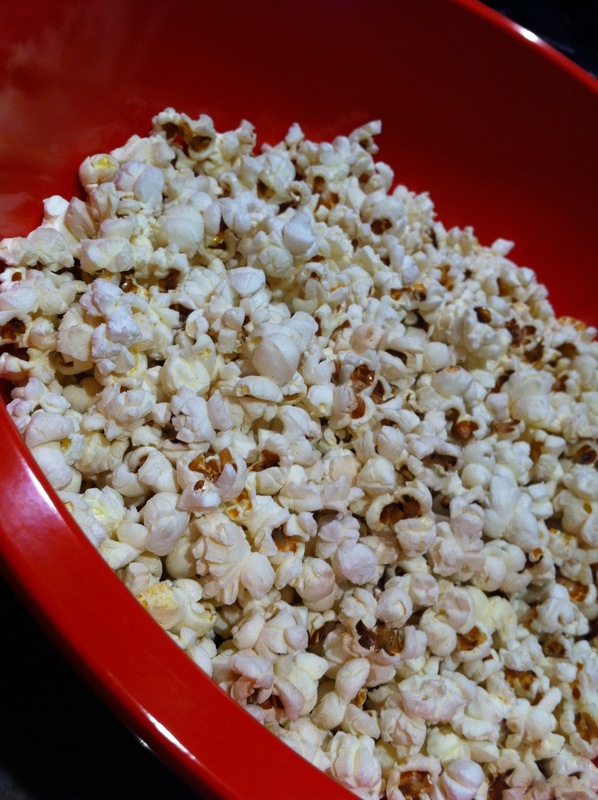 It will take 5 to 10 minutes for perfect popcorn. 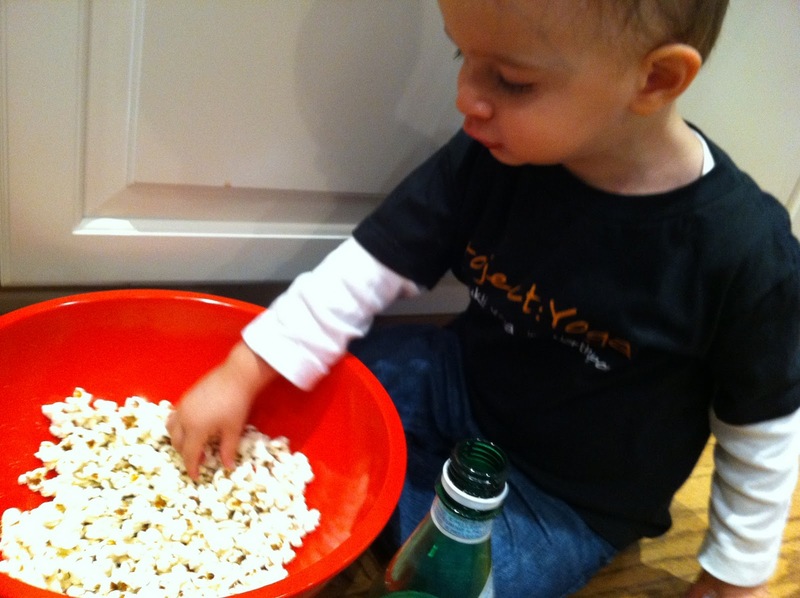 Dump out the popcorn into a big bowl and add salt and nutritional yeast to taste. Enjoy!